Despite the economic recession, Nigerians are taking advantage of any platform to be happy and entertain themselves. The ongoing Big Brother Naija is one of the shows many Nigerians are catching fun with. 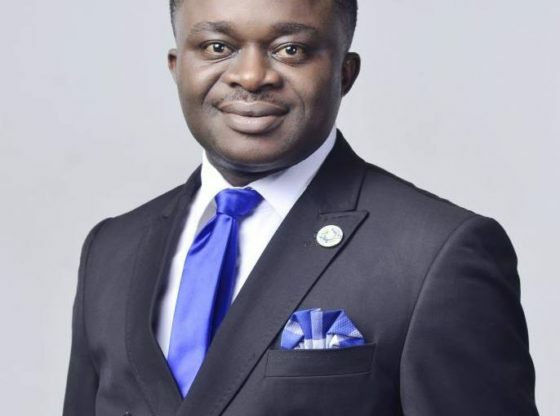 But a prominent man of God from Port-Harcourt, Mike Winning has revealed that the Good Lord Above is not happy with what is happening on Big Brother Naija. The born again Pastor went ahead to place a curse on sponsors of big brother naija with claims that almighty father in heaven directed him to do so. According to the Pastor, if the sponsors attempt to air the show next year, their resources will dry up. This prophesy from the man of God came after the Big Brother Naija recorded series of immoral acts like Breast sucking, kissing, nakedness and all sorts of things that the Good Lord Above don’t like. 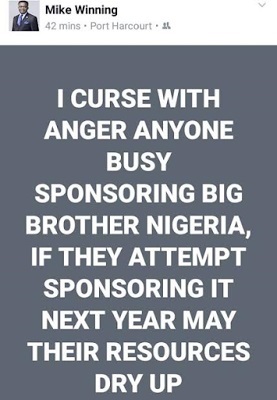 0 Response to "“God Is Not Happy With Big Brother Naija” – Pastor Reveals As He Places A Curse On Its Sponsors"